West Michigan Park Flyers LLC is pleased to bring you the Mako XL Sea Plane designed by John W. Van Baren. 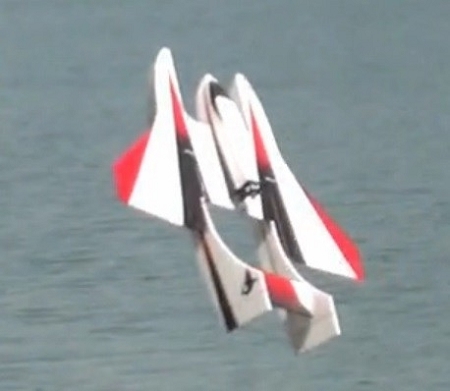 This plane has a twin hull design for added stability during high speed water runs as well as improved ground handling making it as much fun on the ground as it is in the air. With its generous wing area and dual tail boom it sets in for some really long and smooth glide paths. On more than one occasion we have watched the designer set his transmitter on the ground and walk back to his chair while the plane comes in and lands on its own. Just line it up with the end of the runway trim up the elevator cut the throttle and let the plane do the rest. You have to see it to believe it. Of course this was done with a properly trimmed and tuned airframe but none the less it is quite amazing to watch. From high speed ground action playing follow the leader doing hand stands (coined stink bugging) to flying in a group of mako's flying six wide through the turns bumping wing tips. I would have to say this is the most enjoyable airframe I have ever had the chance to fly. Its flight envelope includes rolling circles, rolling loops and eights, pop tops, high alpha rudder dips in the water, hand stands on dry land, as well as power slides on the snow and ice. This plane is literally as much fun in the air as it is in the ground. This is a complete Short kit. Everything less electronics. All Carbon Fiber Pre - cut to save you time. Mako XL Wooden control horn and parts set. Piano wire – Pre - cut and bent to save you time. Fiberglass Adhesive Sheet 2) three inch strips. 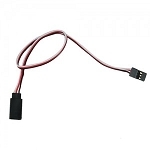 - Servo Extensions Same as original mako. 300mm or 12inches. Longer will work to, but not shorter. 4s - Suppo A2814/8 - 1100 KV with 9x5e prop. 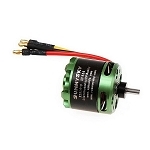 4s - Exceed RC rocket motor 3015 - 1300kv with 9x4.5e prop. 4s - SunnySky X2814 KV1250 with 9x4.5e prop. 3s - Suppo A2814/6 - 1400 KV with 9x6e prop.